As the summer season disappears from view, now would be the time to pick up a last minute ski holiday to look forward to during the impending winter season. Whether you wait for Christmas to pass or you decide to treat you and your loved ones to a pre-festive stint on the slopes, Neilson ski holidays inItaly would place you in a prime position to enjoy every second. Armed with some of the best après ski facilities in Europe and an incredible array of groomed runs and off-piste opportunities, Italy has something for every capability. Here are five of its best resorts for you to choose from. Miles and miles of well-groomed runs, snowsure north facing slopes and a quaint ski village that provides relaxation when you need it – what more could you want from this Dolomites resort? 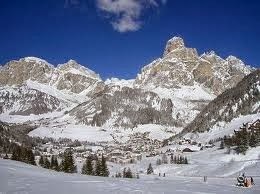 You’d like access to the Marmolada Glacier on the cusp of the Sella Ronda circuit? OK, Arabba has that too! Olympic class pistes, a terrain park perfect for kicks and tricks and a vibrant town that oozes modern, authentic Italy, Bardonecchia has runs to suit all proficiencies, with excellent non-skier opportunities too. A fun-filled resort that has a buzzing après ski scene (including the awesome ski boot tea dance! ), there are plenty of gentle slopes for the beginners and families while access to the Sella Ronda circuit also appeals to the more advanced skier too. Beginners, intermediates and families are well catered for in this fabulous resort and the excellent snow record means that your chances of great ski opportunities are high. The resort also offers a 3km pedestrianised centre, scattered with a great selection of bars, restaurants and shops. 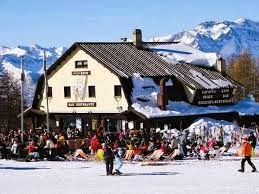 This resort is the place to go if you’re after a party-mad atmosphere to keep you busy when you’re away from the slopes. Thousands of people return year after year because of the awesome atmosphere and is particularly suited to intermediate and advanced skiers. 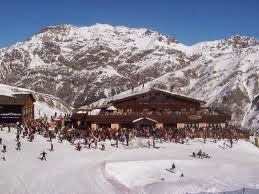 Wherever you choose, Italy is a perfect destination for skiing and boarding during this winter. Sponsored post and photos provided by Neilson holidays.